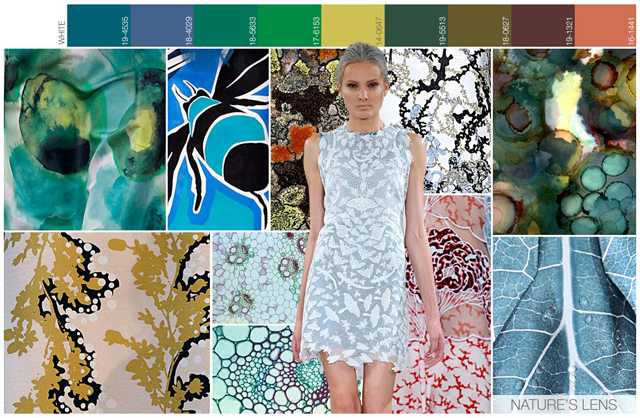 Fashion Snoops is an online forecasting trend service that reports on color, design themes, key items, details, etc., for women, men, youth, kids, accessories, beauty, home, and culture. To learn more and subscribe to their services, go to fashionsnoops.com to view their amazing site. 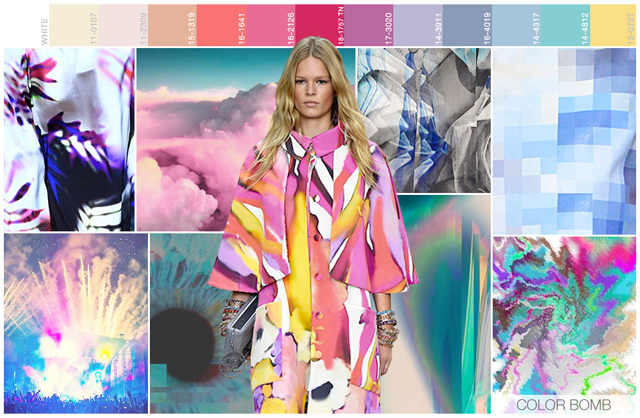 For the Spring/Summer 16 Color Bomb trend, get inspired by paint splashes, cotton candy skies, a glitch color explosion, and a pastel color palette. Within Natures Lens we dust off our magnifying glass and take a close look at the beauty Mother Nature has to offer. Tapestry Sessions merges together Penny Lane hippie formations and worldly bohemian commune inspirations. The expressionist trend has evolved into Color Bomb. 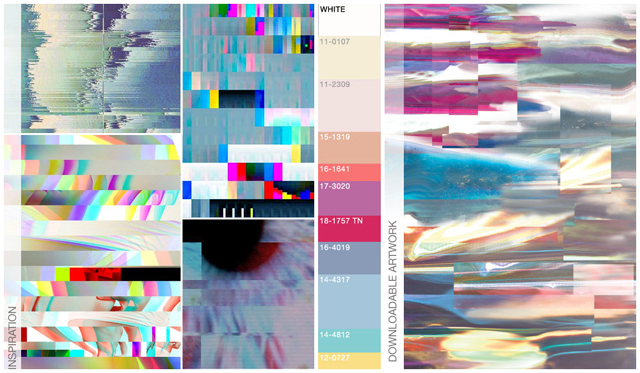 We’re still inspired by paint splashes and cotton candy skies although a glitch color explosion is also key. The color palette is more pastel than neon. All of these designs can be great bold all overs although turning them into screens is a softer, easy to wear option. Within Natures lens we dust off our magnifying glass and take a close up look at the beauty that Mother Nature has to offer. 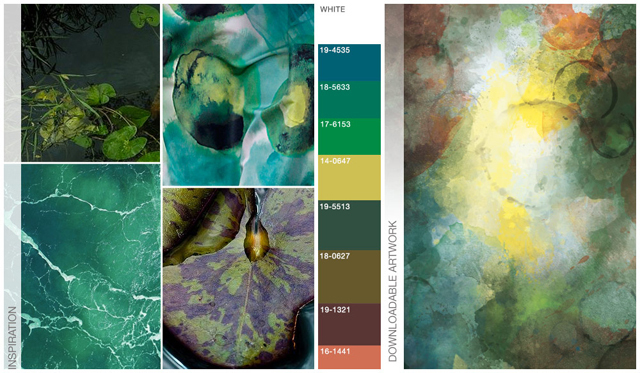 A natural color palette is used as we see imagery mimicking a micro-organism or bacteria, as well as zoomed in leaves and under water foliage. 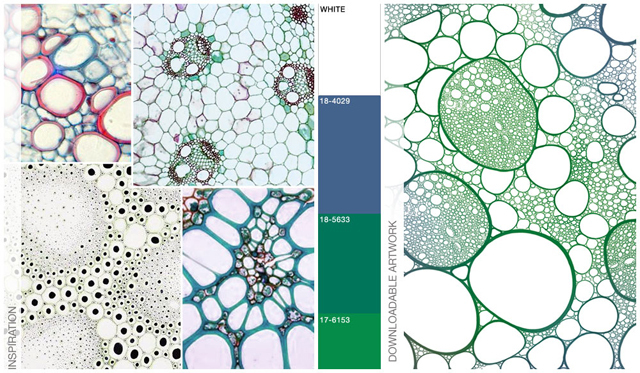 These will make great all over prints or screens as we immerse ourselves into nature’s backdrop. 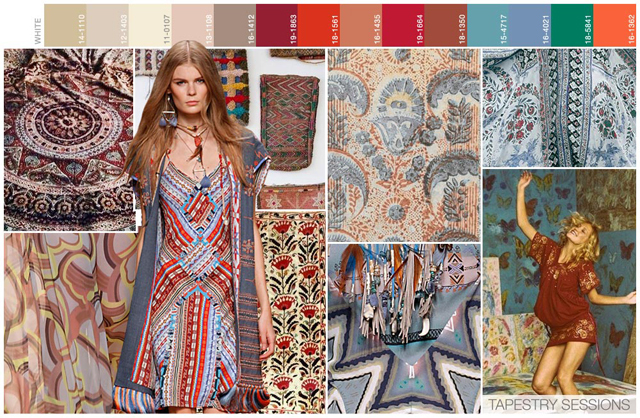 Tapestry Sessions is Spring 16’s world traveler trend, which merges together Penny Lane hippie formations and more worldly bohemian Commune inspirations. The divide comes through with color and placement. 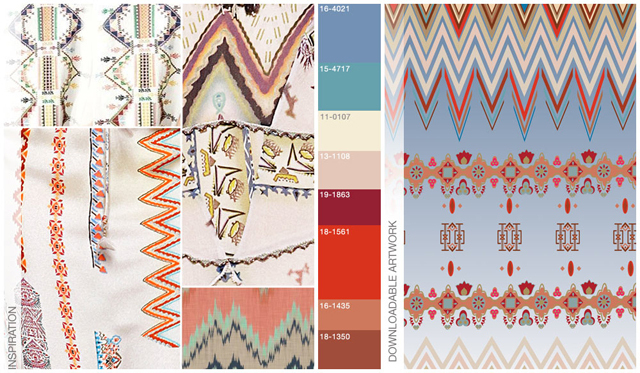 The Penny lane designs are much softer and more feminine as we see a floral patchwork, repeated ribbon motifs and a gradient all over design with subtle injections of a world traveler. The Commune designs are the two heavily condensed ones, as we see repeated mosaics, Aztec motifs and border designs alongside a pieced together pattern patchwork. All of these designs will make for great all over prints, although the patchwork can also be a great screen option. All of these creations are digitally designed and as always the layers are all organized so you can edit as you desire. The complete original artwork reports for Spring/Summer 16 are available now for purchase through the Fashion Vignette digital Trend Shop. Additional comprehensive forecasting reports are also available across all markets. 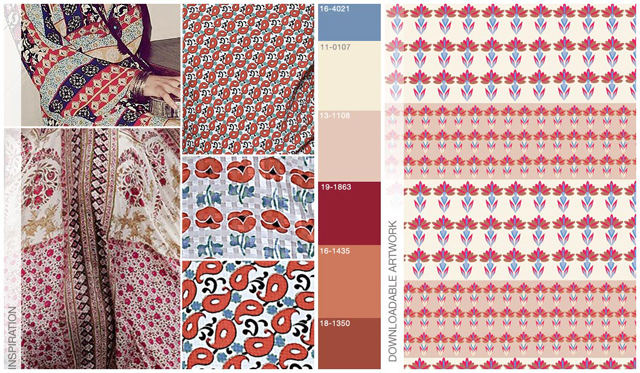 We have carefully selected the top print and pattern call outs for the Spring/Summer 2016 season and created a series of original inspiring print themes for your use. The artwork has been designed solely for Fashion Snoops and is available for download as a PSD/AI file, copyright free! Click the banner below or visit our Trend Shop to purchase your report today. 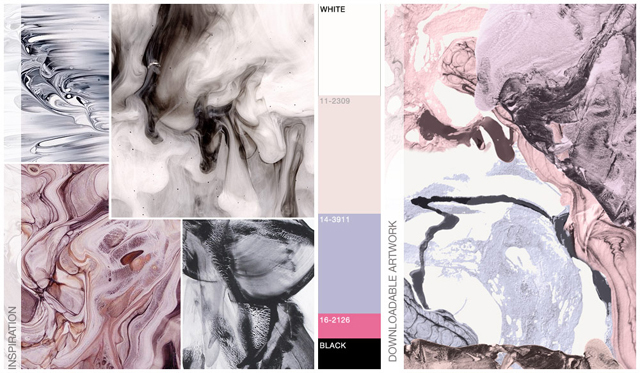 This S/S 16 Women’s Original Artwork Series forecast by Fashion Snoops includes top print and pattern trends for the womens market. Visit our trend shop today to learn more!